ISU Insurance and Investment Group is a local, privately owned independent insurance agency capable of handling all of your insurance needs. Our independent ownership allows us to provide you with a high level of personal service and to deliver the market's best value through the strength and resources of a national network. In 1999, the owners of Hinton-Corby Insurance in Sellersburg, Marley Insurance in Scottsburg and Walters & Associates in New Albany and Bloomington created Insurance and Investment Group, Inc. in order to consolidate sales volume, improve product offering and decrease costs. Each agency continued to operate under their same name plus retained full ownership and control of their own accounts. In 2004, Insurance and Investment Group, reached its first landmark goal by hiring a Health Insurance Specialist. Sales and service in Employee Benefits greatly improved and expanded to include Large Group Health accounts. In 2008, they achieved their next landmark by joining the ISU Network of Independent Agencies. This has brought and will continue to bring many benefits to the agencies and their customers. However, one of the requirements was to operate under the same name with ISU included. 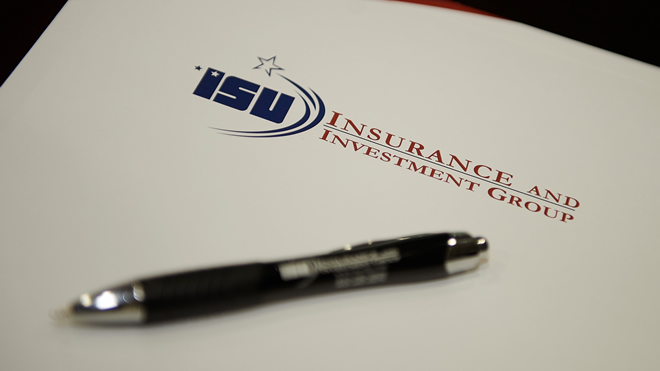 Since Insurance and Investment Group, Inc. was commonly owned by the agency owners, the name ISU Insurance and Investment Group was agreed upon. We are located in Scottsburg, Sellersburg, New Albany, and Jeffersonville, Indiana, and are also licensed in Indian, Illinois, Wisconsin, Ohio, Kentucky, South Carolina, Alabama, Minnesota, and Florida.